First place the chicken in a container with the cumin, garlic, salt, pepper and half of the beer. Then refrigerate for at least three hours before cooking. When ready, heat the oven to 400°F. Remove the chicken from the container and roast for 25 minutes. In a bowl, combine the honey, melted butter and remaining beer. After 25 minutes have passed, brush the chicken with the honey glaze. Continue roasting the chicken for 15 more minutes at 400°F. To finish, serve hot with fresh cilantro. Steamed potatoes with parsley or some simple white rice make a good accompaniment for this dish. Traditional pollo asado or roasted chicken is one of my favorite meals. I prepare it often for special holidays and during the week as well. To keep this type of dish fresh, I like trying different roasted chicken recipes, such as this preparation that uses a honey and beer marinade. Personally, I prefer to marinate the chicken overnight; the results are fantástico! The meat turns out very succulent and soft when cooked. 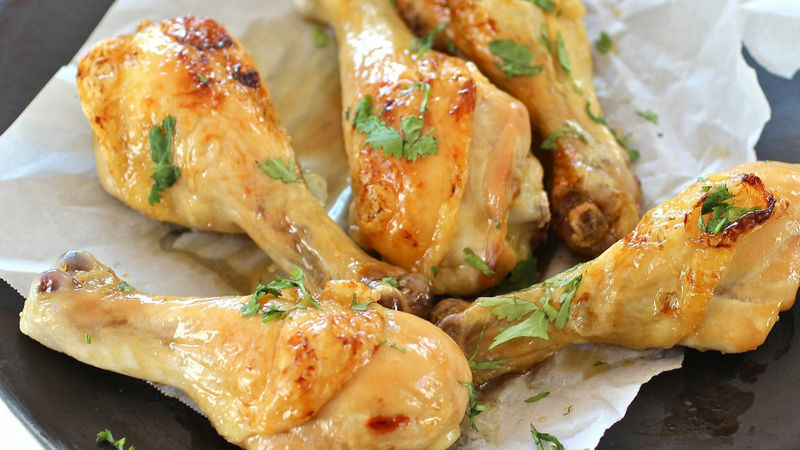 I prefer to make this recipe using chicken legs, but you can use whichever section you like most, or even a whole chicken.